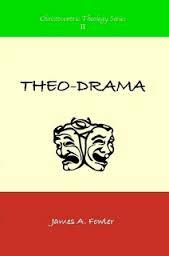 What might Theodrama mean in Youth Work? Now that’s got you wondering? I suspect more than a few folk will find James Ballantyne’s exploration of the relationship between an unfolding drama of existence seen through the eyes of a committed Christian and the day-to-day practice of youth work as a touch difficult. Whilst for many years an irreconcilable atheist, my religious upbringing might mean I found it a little easier to follow his theological references. This said James’ train of thought isn’t anymore taxing than following a disciple of Foucault or Bourdieu. Hence in the run-up to our national conference on ‘Faith and Secular Youth Work’ I hope you might find time to engage with his thoughts. How might a Theology/understanding of the creative acts of God appear in reality? – not just by doing creative things ( ie art/drama) but creating spaces for conversation & relationship…do we do this in clubs, groups, streets – actually leave space for conversation- and who talks? And finally – what about the future promises of renewal, restoration of all, and Shalom – how might we be active in doing what we can to bring about the Kingdom, challenging injustice and knowing that this wont come without challenge – how might we help young people be the agents of redemptive change in their communities – and how might this be a community approach – not just the example of young people trying to change a culture from the bottom up? Read in full at What might Theodrama mean in Youthwork ? And there’s still time to book a place at our conference on Friday, March 13 in Leeds. And James will be there mucking in on the debate.